The Hestia New VA Memory Collection 2000 Pocket mattress is the top model and highest specification mattress in the Visco elastic range and offers a luxury soft to medium feel. The mattress comfort is mainly due to a 70mm layer of V60 cool memory foam that sits on a layer of 3000 pocket springs. 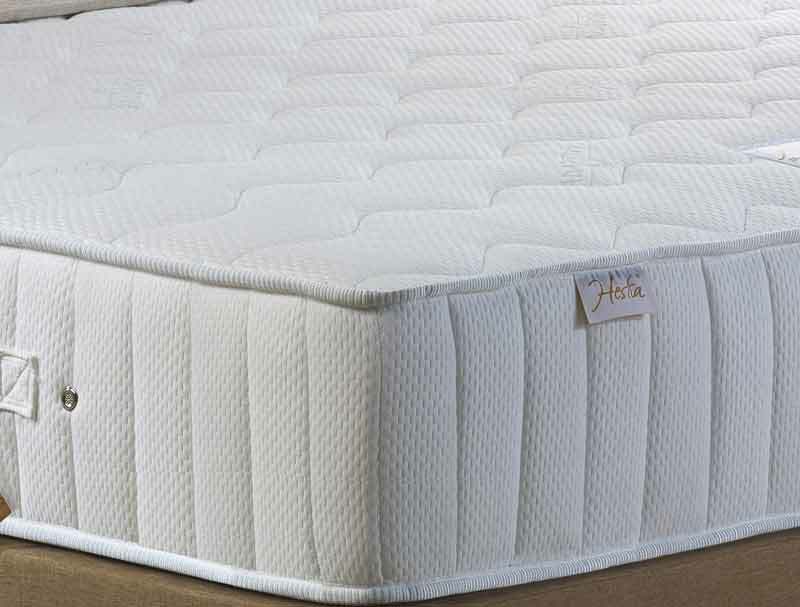 This is encased in the mattress and supported by a foam wall that goes around the outside of the mattress giving it a firmness and rigidity at the sides. The top cover is quilted and has been in covered in a soft knit fabric that has been treated with an Adaptive cooling fabric. This mattress is classed as Medium but unless tried could be considered to be on the softer side of medium.